​The F-Series product range offers you an extensive selection of field mount indicators, controllers and monitoring. 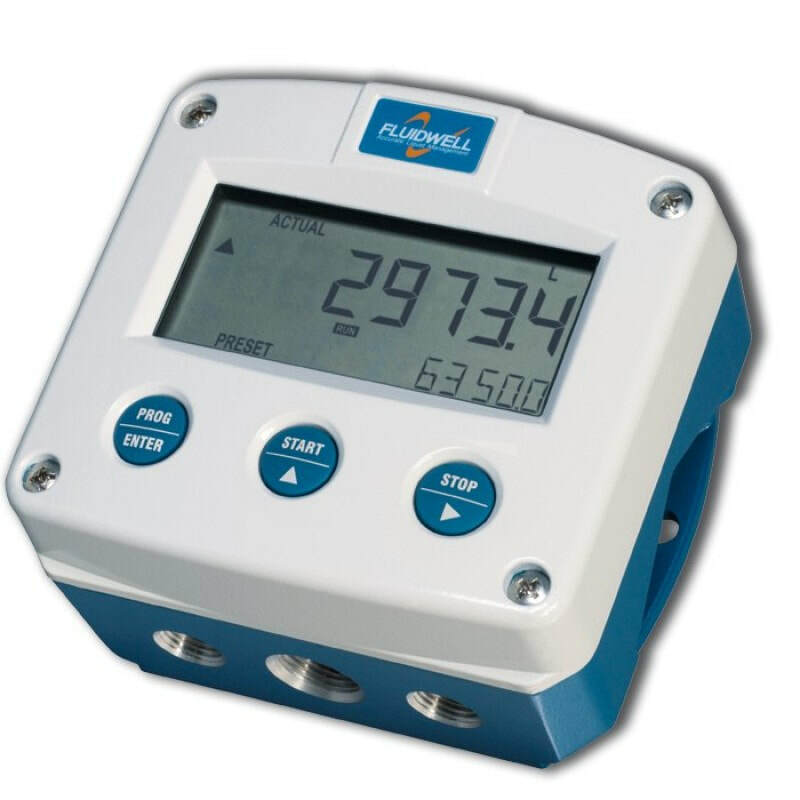 The F014 Field Mount Flow Rate Indicator / Totalizer from Fluidwell is a local indicator which displays the actual flow rate, total and accumulated total. A scaled pulse, related to the accumulated total is generated for re-transmitting the count on the digital display screen. The total on the Fluidwell unit can be reset to zero by pressing the CLEAR button twice. The accumulated total can register up to 11 digits and is backed-up in EEPROM memory every minute, just as the running total is. On-screen engineering units are easily configured from a comprehensive selection. Robust IP66, IP67 (NEMA Type4X) field enclosure. It's so tough, a person can even stand on it and as the video on this page shows, trucks can drive over it! Programming can be done by your own team members, with an easy to read and navigate menu-driven structure, saving both time and bother. It's become the motto of Fluidwell products, Know one, know them all! Extremely diverse mounting possibilities - for example, you can mount onto walls, pipes, panels or directly onto outdoor sensors. If your company needs five or more F Series units, please contact our team of experts for a quotation. The Fluidwell F014 is a versatile flow rate indicator and totalizer with continuous flow rate monitoring feature. It offers the ability to set one low flow rate and one high flow rate alarm value.